As a writer, but not often a reader of short stories, I never really know what to expect from this form. Some short stories are self contained examples of the narrative arc, with a beginning, middle and end to the plot, though not necessarily in that order. There is conflict, denouement and resolution. In other short stories, there are no answers but many questions. Some are character studies, others exploration into a facet of the human condition. A History of the Beanbag is a collection which demonstrates the variety of the short story form and the vastness of the writer's talent. 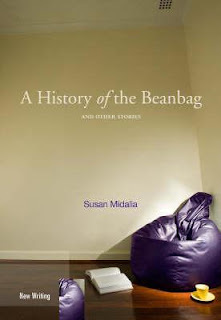 Highlights in the collection include the eponymous beanbag story which is experimental in style, using headings as if it were truly a report on the history of the beanbag rather than a story about aging, disappointment and friendship told against the backdrop of beanbags through the ages. All the Girls Are Doing It is a beautifully written and brave story about young people in love and in lust with each other even though the whole world seems to know that it isn't going to work out for various reasons. The strengths of this story lie in the skilful use of metaphor and concrete specific details, such as the man's love of bridges. 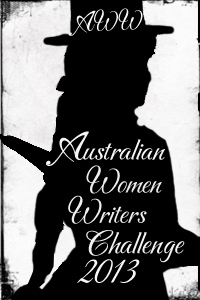 All in all, this collection offers a mirror of Perth society and Western Australian life over the latter half of the twentieth century in a truthful and insightful way, bringing together a cast of characters who are varied and well drawn without seeming to be facets of the author herself in most cases. Tonally, the stories range from funny, to chiding, to mournful, to hopeful, providing a wonderful showcase of the writer's talent.